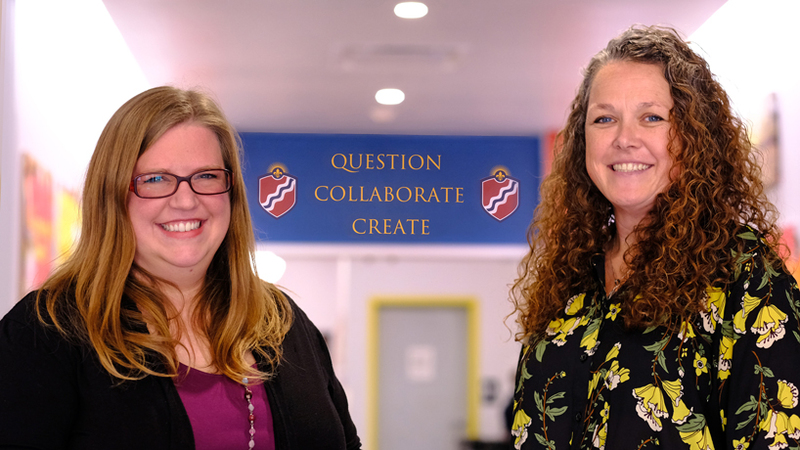 Once a week, Susan Marino and Sarah Ranney finish up their responsibilities at Lafayette Preparatory Academy, hop into a car and make the half-hour drive to the University of Missouri–St. Louis campus together. Once there, Marino and Ranney join their EdD cohort for an evening of coursework, then make the drive back down to their school on the south side of the city and go their separate ways for the night. The next morning, they’re back together at Lafayette Prep. Marino is the executive director of Lafayette Prep, a public charter school that began operating in 2013. 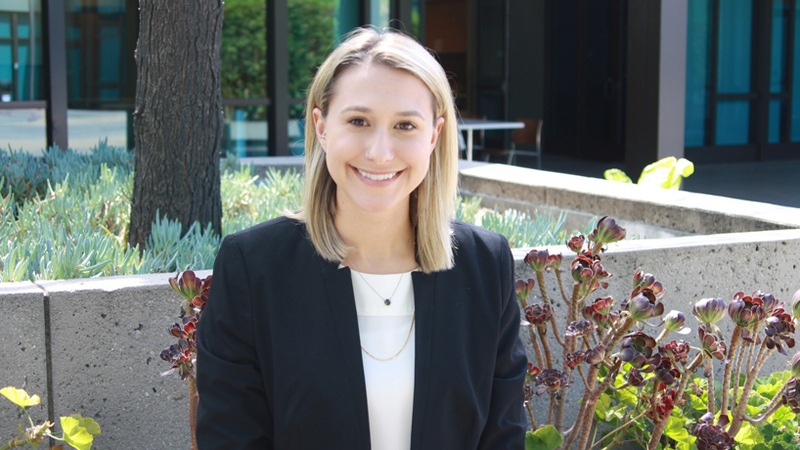 Ranney started as the school’s director of curriculum and instruction in June 2014 and, nearly two years later, assumed her current role as head of school. Lafayette Prep’s charter school sponsor is UMSL, which has provided crucial support and oversight during the school’s first six years. 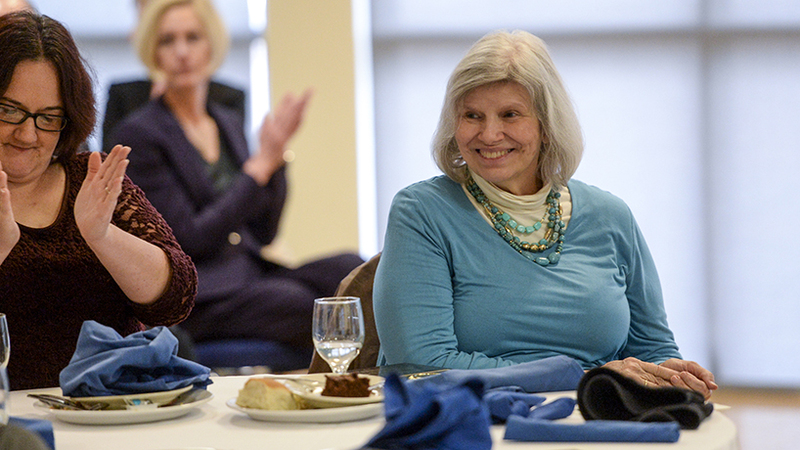 In Ranney’s case, mini-grants from UMSL provided the funding for Lafayette to bring Ranney on a month earlier than anticipated in 2014 and helped fund her path to an MEd, which she earned this past May. So, when Marino and Ranney decided they wanted to go back to school for their doctorates, it only made sense that they chose UMSL. Lafayette Prep opened with 76 students in kindergarten through second grade. It has added a grade level every year since its opening and currently serves 306 students from kindergarten through seventh grade. Marino said the plan is to add eighth grade for 2019-20. The school received a new five-year extension on its charter, through 2023, from the Missouri State Board of Education in June. Lafayette Prep is one of seven public charter schools that UMSL sponsors. 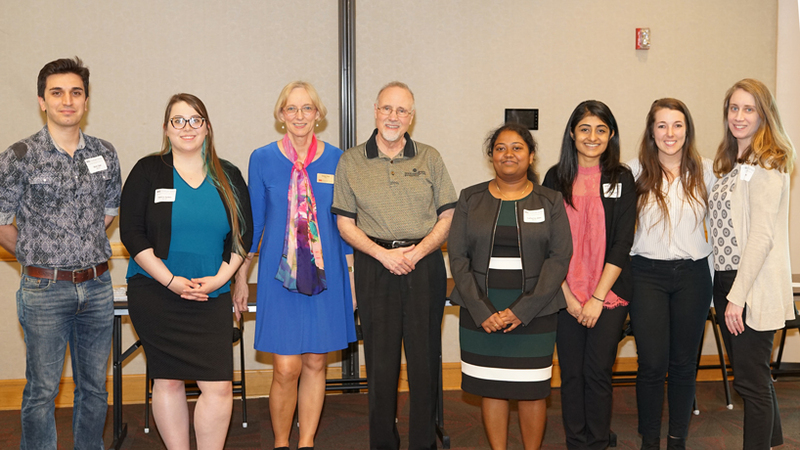 Representatives from the College of Education are responsible for ensuring that each school under UMSL’s umbrella is living up to the vision stated in its charter and providing academic instruction that is at least as rigorous as other schools in the area. Bill Mendelsohn, the UMSL Director of Charter Schools and Partnerships, meets with Marino once a month and Ranney every two months. UMSL representatives sit in on board meetings, do site visits and, during the spring semester, will conduct a full-day evaluation that goes into the charter school’s annual review report. UMSL-sponsored charter schools receive Department of Elementary and Secondary Education funds just like other public schools in Missouri, but a small percentage of that funding gets transferred to the UMSL Office of Research Administration which, in turn, puts it back into the schools through mini-grants, professional development and other funding opportunities. The guidance from sponsor to school can be something as simple and practical as sprucing up the entryway to the building, which Assistant Teaching Professor Tom Hoerr suggested during an early site visit to Lafayette Prep. 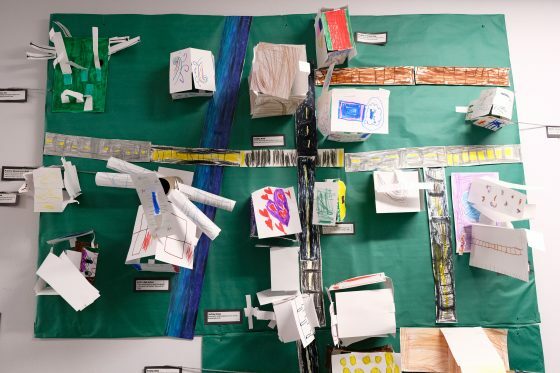 Lafayette Prep’s first-graders completed an annual project called “Golden World,” in which they are encouraged to design a model community that provides for citizens’ necessities while also incorporating novel elements that stem from the students’ creativity. Ranney showcased some of what makes Lafayette Prep unique during a recent tour of the school building. To teach responsibility, each classroom gets a pet, ranging from the furry to the scaly. The middle schoolers take a class called “Investigations,” based off the Google concept of “20 percent time,” in which students spend one-fifth of their school day applying the key concepts from their other classes to capitalize on problem-solving and design-thinking. While the class is geared toward learning objectives from their other courses, students also have the chance to investigate based on interest. The results of another unique activity, the first graders’ annual exercise in city planning, lined the walls on the first floor with fully formed street grids accented by paper building structures. At the outset, Ranney said, the businesses were heavy on cotton candy stores and amusement parks. The teachers have challenged the students to think about how, while a grocery store or hospital might be boring in comparison to those things, they are essential. The first graders cleverly have recreated their communities to encompass both the practical needs of a community and whimsical elements that represent the creativity evident with young children.